Bunurong man from Victoria, Bruce Pascoe also wrote Fog a Dox, which won a YA Prime Minister’s Literary Award and Seahorse. 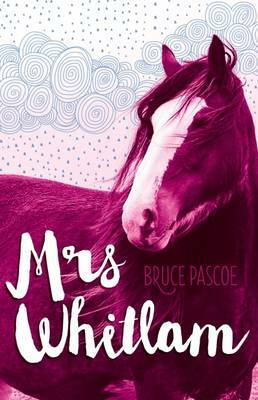 Like Seahorse, Mrs Whitlam centres around an Aboriginal family, without emphasising Aboriginal issues. Pascoe here portrays well-functioning, happy, ‘normal’ families. He also won 2016 Book of the Year for the NSW Premier’s Literary Awards for his adult book, Dark Emu. I’ve interviewed the author for Boomerang Blog here. In Mrs Whitlam, Marnie is surprised to inherit a Clydesdale horse called Mrs Maggie Whitlam after its young owner dies. The horse is named after the wife of the former Prime Minister who, as Marnie’s mother states, ‘Did a fair bit for black people too!’ The tale explores suffering at an appropriate level for young readers, introduces us to a very appealing girl who is brave but sometimes made to feel inferior, and culminates in an exciting rescue. After finishing the short novel, children could re-read descriptions of the horse, research Clydesdales and then make an ‘assemblage’ (a 3D collage originating from Picasso’s cubist constructions). They could make the rough sculpture by using ‘found objects’ such as wire, cardboard and wool or twine. Extreme suffering is evident in this well-written holocaust tale set in Warsaw, Poland during WW2. It is mainly placed in history just before Morris Gleitzman’s novel, Soon, another graphic account of violence against children and adults. Within These Walls is not just another holocaust story. It is particularly interesting and engaging and reveals a depth of knowledge and research based on true events, especially in the sealed ghetto. The details such as Miri’s mother wearing a wig and baking challah create verisimilitude. The family reads the Biblical book of Esther and the Passover account of the Jews’ Exodus from Egypt, replacing slavery with freedom. Both books are pertinent to the story told here. Family is critical to Miri but, tragically, she loses her parents and siblings one by one. We experience Miri’s life in the city, the open and closed ghetto and in a dark cellar. The novel begins with her time in the cellar and it is used to foreshadow some of Miri’s darkest times. 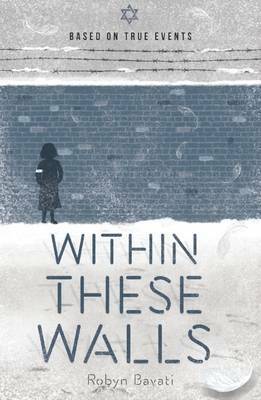 Even though Within These Walls is shortlisted for younger readers, parents and schools may wish to examine the contents before giving to all children. 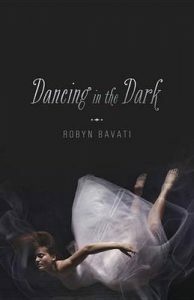 The author also wrote Dancing in the Dark, which has a Jewish focus as well.